The drug-free Learning Breakthrough Program improves the ability of the brain to process information efficiently and overcome many of the frustrations that young people feel as they work to master their environment (both academic and social). The program's ability to help in these areas leads to confidence, maturity and esteem improvements that often lead to more desirable behavioral outcomes. Childhood and parenting are not easy for anyone and the topic of behavior involves a very large number of components. Any discussion on the topic of behavior must account for the fact that at the same time parents are trying to get a handle on their child's behavioral patterns, that the child is learning the relationship between behaviors and their consequences. Not least among these are a person's sense of comfort in their daily environment as well as their level of self esteem. For families addressing learning difficulties they can be particularly difficult times. Parents who are frustrated because, despite their best intentions, their child's academic performance is slipping at the same time their behavior is becoming more of a distraction can become overwhelmed. This is very common as kids try to compensate for poor results at school by acting in ways that distract authority figures from focusing on academic performance. Quite often it is the difficulties of learning that a child is actually trying to compensate for and the resulting measures of discipline they encounter add to the pressure they feel and the results on self esteem grow negative. Often times the frustration that accompanies weak academic performance stems from the observation that children who seem to have so much "potential" just don't seem to be able to convert their innate intelligence into solid progress in school. What follows is a noticeable change in attitude and the onset of negative behavioral attributes. Challenges like these are among the most important reasons to look at the Learning Breakthrough Program™ for serious strengthening of academic results and the subsequent boost that they can give to a person's sense of well being, self esteem and, eventually, behavior. Unlocking innate potential could be the best description of what the Learning Breakthrough Program™ does. By working to improve the most basic and critical elements of the brain's processing abilities, the Learning Breakthrough Program™ can improve academic performance which often leads to higher self esteem. Social scientists have found a significant correlation between attentional issues, academic abilities and behavior. Improvements in attention and success in the academic arena provide for nearly universal reports of "better behavior". Self esteem issues are almost certainly at play in this result and consequences of the behavioral impact of therapies like the Learning Breakthrough Program™ are profound and the subject of a great deal of ongoing research. It is our hope that you will use the program diligently and gain the benefits that it is intended to provide. Combining use of the Learning Breakthrough Program™ with an incentive plan is the kind of recommendation that a behavioral specialist is likely to recommend as well as strategies to focus on improved self-management, self-awareness, and communication skills to give positive reinforcement of desirable behaviors. Children vary greatly in their temperament, development and behaviors. What is normal for one child may not be normal for another. 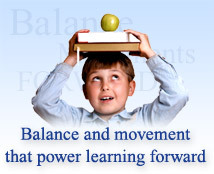 Behavior analysis has made tremendous contributions to education over the past four decades. Unfortunately, these practices are neither well known nor widely adopted, and our schools are just not able to address all issues faced by every individual child and family in their district. A learning aid like the Learning Breakthrough Program™, combined with the efforts of concerned and motivated parents may just give you the edge to overcome the hurdles of one of life's most important challenges. An appreciation of what makes all children different is at the heart of the Learning Breakthrough Program™ approach. This site will help you understand those principles and how you can use them to help achieve the behavioral results you seek. To view a wonderful video presentation where you will hear from parents, educators, professionals and children who have experienced the Learning Breakthrough Program™, click here. To read how the Learning Breakthrough Program works, click here.